The greenback loses momentum and challenges 109.00. USD lower on upbeat press conference by ECB’s Draghi. US Durable Goods Orders, Initial Claims and Trade Balance came in above estimates. 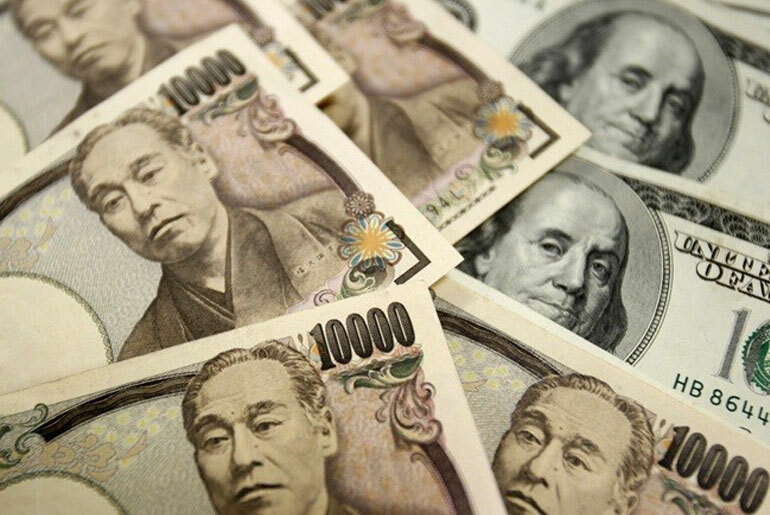 The now offered tone around the greenback have prompted USD sellers to step in, therefore dragging USD/JPY to the vicinity of 109.00 the figure, or daily lows. After climbing to as high as the boundaries of 109.50, or fresh 2-month peaks, the pair sparked a correction lower along with yields of the key US 10-year reference retreating to the area just below the psychological 3.0% level, where some support emerged so far. The greenback also suffered the upbeat tone from ECB’s Mario Draghi at his press conference today, where he talked down some recent weakness in indicators in the euro region. In the data space, Durable Goods Orders expanded at a monthly 2.6%, Initial Claims rose at a weekly 209K and Goods Trade Balance narrowed to $68.04 billion in March, all prints coming in above initial estimates. As of writing the pair is down 0.19% at 109.22 and a break below 108.94 (100-day sma) would aim for 107.99 (10-day sma) and finally 106.86 (low Apr.17). On the upside, the next hurdle lines up at 109.47 (high Apr.25) seconded by 110.27 (200-day sma) and then 110.48 (high Feb.2).